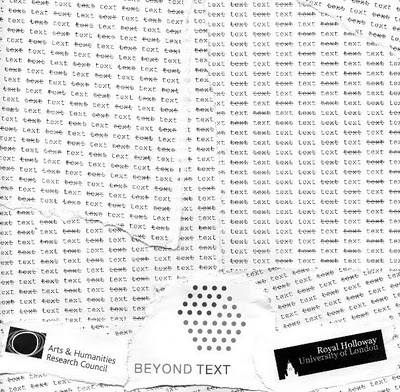 Beyond Text: Making and unmaking text across performance practices and theories is a three day participatory event which looks to expand the notion of the academic conference, by asking participants to present and respond. We hope this direct and primary response-led work will open up discussion and offer productive cross-discipline exchange. We will be providing a performative academic forum: to explore the place of text in practice; the making and unmaking of the text; and the questioning of academic protocols by this destabilising of the text. We hope participants will see how text functions in different practice-based disciplines and how to contextualise different notions of textuality. Characters are propositions of a new knowledge which constructs feelings and imaginings as characters. (Norma Cole, To Be At Music, 144). 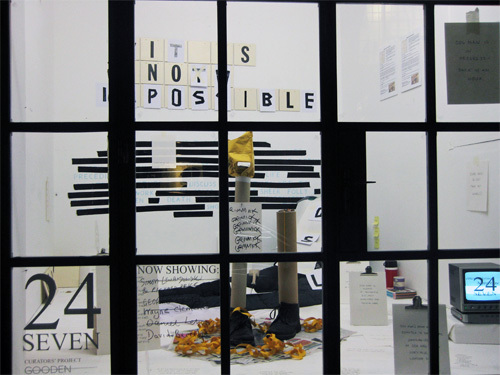 (1) The development of ideas into a condition we might call a “character” ; (2) The use of a “character” – or “figure” – to research and explore ideas, make and un-make text; (3) The inevitable failure of that “character” and how its partiality, incompleteness and embarrassment figures in its use. Two personal projects inform this investigation: (1) Dog Man: a character that, throughout 2010, appeared in installation, short fiction talk, poems, and essay; and (2) Writing/ Exhibition/ Publication: an exhibition I curated at The Pigeon Wing in London, exploring how writing moves (or not) between different spaces/ communities/ forms. Rather than focussing on these projects, I would like to make a 15-20 minute performance lecture exploring character in relation to the themes of the conference. The sense of crisis was everywhere, and yet Brainard seems to have been almost inured to it, as if for him a world might be made that was free from these currents of political and social unrest. 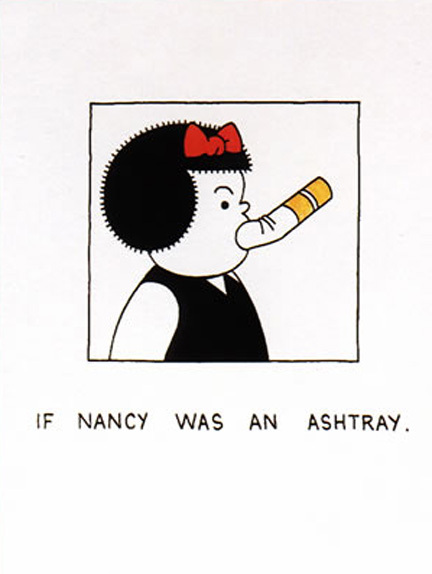 That he might have found a kind of refuge in a fictive character, one who lived in a world of cheerful buoyancy and ingenuity, such as that inhabited by Nancy, seems plausible. I’m currently working on the presentation, thinking also through The Fluxus President, a project first published as part of the publication for Pursuit: Failure symposium in Berlin. SOURCE: Heriberto Yépez “on character” in Mary Burger et al eds. Biting the Error: Writers Explore Narrative (Coach House Books, 2004), 158-168. Full text online here.